Have you ever wondered, how smart you are? 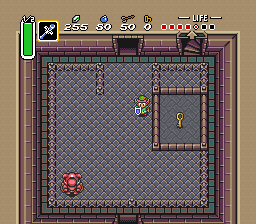 Time to test it out with this unconventional Zelda hack, which will test the limits of your intuitive and logical thinking. 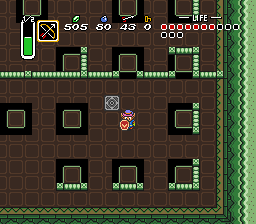 This is a short and yet complete hack of Zelda3, with the main goal to force the player to think. In addition new ASM codes have been inserted. 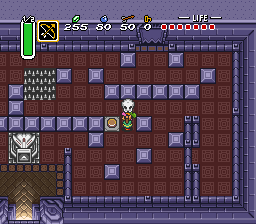 These codes made some fantastic new puzzles and items possible, not seen in the original. A lot of gfx has also been changed. 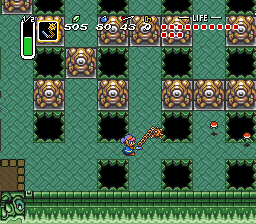 Some later parts of the game will however require good old sword to sword action. May the Einstein be with you. 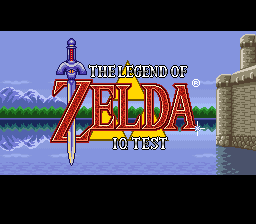 Note: This is the RE-release with the game being reformated to standard (compliant) Lorom, which is compatible with all possible SNES emulators and devices, and the game also uses a standard IPS patch.